I was recently at SourceCon learning about new tools, spending time with friends, and eating great food. You know me I love a good meal. One of the nights we were having dinner the conversation turned to applicant tracking systems. Do not ask me why we would talk shop but hey it’s better than politics, am I right? When it came to for me to speak on my thoughts, I decided to share the news that Google had called me and ask to do a demo of the newest product offering they had done for their Google Hire ATS. Of course, I was more than excited, I mean come on its Google. This was like waking up at Christmas and getting a new car in the driveway. 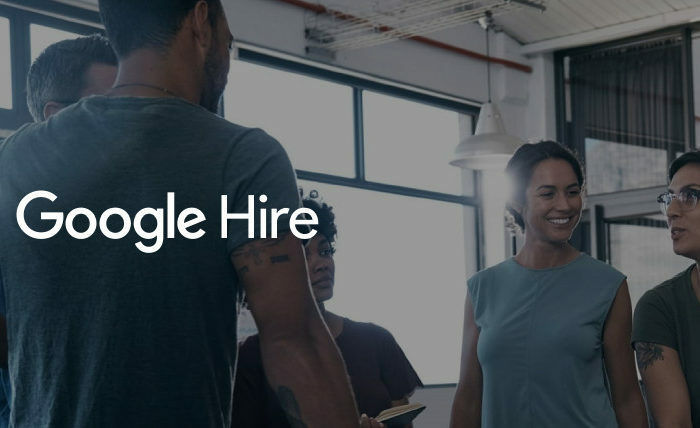 Hire launched publicly July 2017, only for GSuite users, builds on top of Gmail, Google Docs, and Google Calendar to make recruiting workflow more efficient. The only problem was that if you worked for a company with more than 1,000 employees, you could not purchase the product. Since I joined EngageTalent a killer startup within the BI space I think that may be the reason why. I left the conference to join the video chat giddy as a schoolboy on the last day of school. The product team was online, and we started with the standard pleasant introductions. Then it was off to the races to see what this new product was, and I have to say this is a game changer for the ATS market, more on that in a minute though. Let me give you a quick overview of the tool itself. One, it is Google, and Google makes very cool online products that are useful, powerful, and free; thanks for that yearly office subscription and that cost to have outlook be ad-free Microsoft. This ATS is not free, but frankly, it’s a heck of a lot less than the big boys looking for 40, 50, 80 thousand for antiquated VB5 and Access database goodness. Google Hire is sleek, online, and so smooth. I have to say that it is by far the best ATS I have ever seen. They listened to recruiters, and your mind is blown away by the simplicity but the power it yields. The ATS integrates with all the other suite of tools they offer such as calendar, notes, and of course Gmail and that is where it gets fascinating. Google figured out what any recruiter or sourcer knows; time kills deals. We all know this! Since you have to bounce between multiple platforms and clicks upon clicks continually, I am looking at you ICIMS, that minutes add up to hours of wasted time in the day and that is the time that could be well spent on the phone or digging for gold. I like gold; it’s shiny and seemingly worth money. I digress to the notes I took during our intake meeting, see what I did there? The Hire icon is on the right side of Gmail, click to expand right-column pane – It says the ATS does not recognize him as a Hire candidate and has “Add new candidate” button. It parses contact info from Gmail message. It suggests what job to link him to (select menu with other available jobs in Hire to choose from). Then you can enter him as a Prospect or Active candidate. The system parses file attachment and option to upload as a resume. This creates the candidate record in Hire. If you click Gmail reply “Interview follow-up” and “Interview logistics” categories of email templates appear at right to optionally pull into an email. The best part is you didn’t have to leave Gmail for all of this. What!? Also, going to the Hire candidate record, you see all the correspondence history from Gmail and Hire. When you go back to candidate’s message, it shows in right rail: candidate status, details, private notes, document, and view profile, reply with a template. Simply put, and I am a simply complicated guy, and this is by far the most fantastic thing I have seen and have been begging for this feature most of my career when it comes to an ATS. Look we have a tough enough job between working with unrealistic candidates AND managers (a little Boolean for you), and this takes, IMO, a huge headache out of the picture. This is only the tip of the iceberg from what I am told, but Google is keeping things close to the vest but believe me even bigger things are coming so keep your eyes and ears open for more from me.